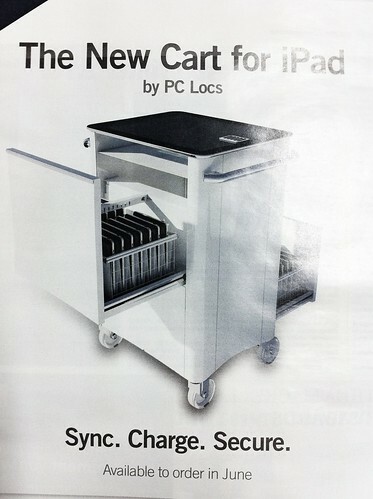 I know it’s somehow inevitable, maybe even a good sign in some ways, but I was also kind of sad to see this ad in a teacher magazine today: the iPad trolley. Coming soon. My wife works for a publishing company, in sales. She’s on the road a lot talking to people in bookshops and also health stores, new-age emporiums and anyone else who’ll listen. Times are tough in the book trade, and some of that’s to do with e-books, e-readers and the move to digital. But that’s another point. The point is that she uses a notebook computer for work, almost exclusively for email purposes, but also some document handling, some online training and some access to the company’s database checking stock levels on various titles, and what’s new on each of the lists. Currently, she uses a Dell PC running Windows Vista that we got about three years ago. The company doesn’t supply her with a computer; she has to buy her own, and her own internet access and try to claim it back on tax as a business expense. The Dell laptop looks and feels like a roof-tile and runs like it. It’s slow, unresponsive, constantly needing Windows updating and battery life is now down to 40 minutes fully charged. She needs something new. 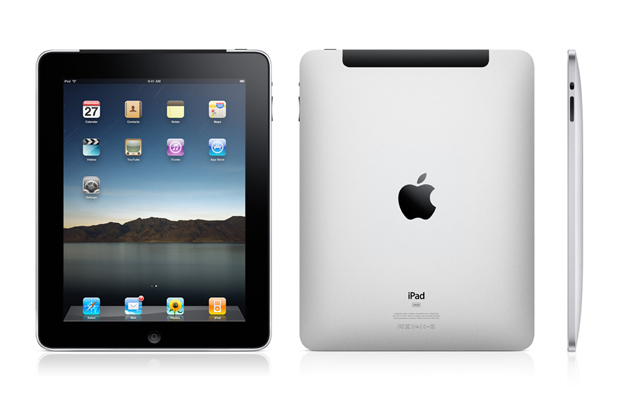 And, for the first time, I’m thinking there is an alternative to bringing home another charcoal-grey box, and that alternative is an Ipad. The Ipad will run her email, albeit only in the webmail format. She can open attached documents in either Google DOcs or an app like GoodReader. She can access her company database and keep a decent looking appointment calendar, task list and customer notes. It’s got roughly ten hours battery life and, if she got all fired up, she could be showing her customers glossy looking PDFs all stored on the Ipad. For the first time it feels like it is possible that the next device might not be a notebook computer, or a computer at all in some senses, but something quite different. And,if I’m thinking that’s going to work for her in her work, I wonder am I being open enough in my thinking about how it might work for my students? Okay, I admit it, I want one. I’ve been hanging out for the duration of the Ipad based on the sage advice of many tech-head friends who proclaim solemnly; ‘thou shalt not buy version 1 of any Apple product’. And I listened. And in a couple of weeks I’m going to be grabbing version 2, though I am too dignified to sleep outside the Apple store before opening time. But I DON’T think this going to transform education anytime soon. For my senior Literature class, with a Toshiba tablet-pc in front of them, the uber-cool ipad would, in fact, be a step backward in terms of pure technology. Sans keyboard for example. I played around iwth an Ipad travelling around Spain last year, and it was a fantastic tool for that kind of thing, but I’d hate to write anything much longer than a recipe on it. And there are a ton of implementation issues that go along with it too. So I want one, and so do half my students probably. But I cant see it as becoming THE viable ongoing real tool that students use for creating content. More likely I see the 1-1 going the way of the 1 to many. And that students (and teachers) will access their information and interact with it in a variety of ways, through ipads and slates, through smart phones and netbooks and through more traditional notebooks and even desktops. And, when I actually want to start writing something anything longer than this blog post, I’m gonna want a keyboard to do it. A real one with springy touchy feedback; perhaps one of those lovely little Apple blue-tooth ones! Unless someone invents voice-recognition that actually works! But don’t get me started on that.